Have you heard of green tea? Of course, most of them know about it. What about the benefits? Many are unaware of it. 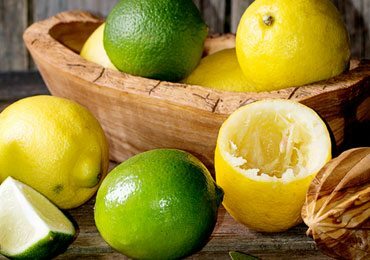 Its benefits are numerous and for skin, it’s one of the most important elements for maintaining your skin health. The benefits of green tea for skin is remarkable. 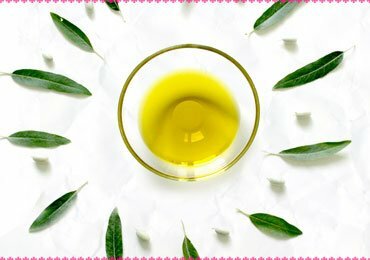 Let’s go for an overview of the uses of green tea for the skin to have a flawless and fair type. What is a Green Tea? Green tea is initially originated in China. It is a type of tea made from the unfermented (have not undergone withering and oxidation process) tea leaves, Camellia sinensis. As it is made from less oxidized leaves, it has more anti-oxidant property. 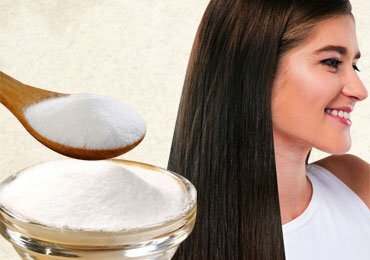 It has a slightly bitter taste and pale colored with more benefits over human health. The preparation involves few steps to get a perfect green tea. Make sure the temperature of the water is 90-degree centigrade. If you boil the green tea leaves over 90-degree centigrade of water, gives a bitter taste. This won’t encourage you to have it regularly. Take a tablespoon of green tea leaves and have it in a tea strainer or filter. Now take a tea pan or glass bowl along with a cup of water and heat it. Keep an eye on it. Don’t boil it, as the water temperature should not exceed above 90 degrees. Before boiling it, take the pan out of the flame and place the tea strainer along with green tea leaves in the tea pan. Leave it aside for 3 minutes. Check out for the flavor of the tea. If you want it to be strong, then leave for some more minutes. Take out tea strainer with leaves and you can add a spoon of honey to enhance the taste of green tea. Now enjoy your cup of green tea! Many of the ladies have this question in their mind, Is green tea good for your skin? Certainly, the answer is YES. Green tea paves a pathway for maintaining skin’s health and makes it glimmering. Nowadays even the cosmetics are packed with the essence of green tea, as it contains much more benefits for the skin. It doesn’t help in improving the skin complexion but also fights with acne, skin cancer, blackheads, dark circle, and bacterial infections too. So indulge in with green tea every day to have healthy and glowing skin. Scroll down to know about the surprising benefits of green tea. Every girl wants to be fairer. Only their skin complexion gives a bold statement on many occasions. 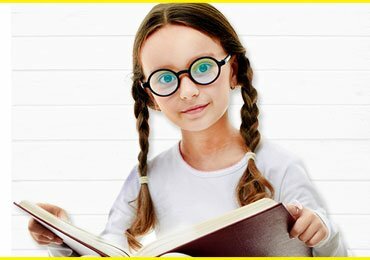 Primarily the fairer skin plays an important role for each girl. 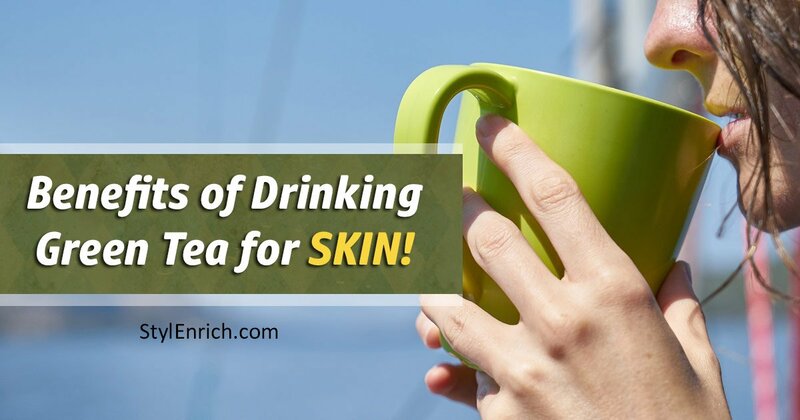 So switch on to the green tea to get a fairer and attractive skin. Green is packed with vitamin E and Vitamin B2. These vitamins are essential for maintaining your skin’s health and also improves skin lightening. 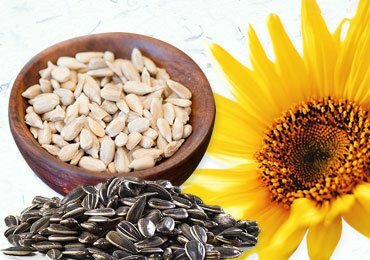 Vitamin E improves the new cell growth and also helps in hydrating the skin, leads to soft and moisturized skin. Vitamin E is good in anti-oxidant property, presents you younger. It slows down the production of melanin, pigment responsible for black spots. It improves the skin complexion by penetrating deep into the skin layers and delivers its effects. Vitamin B2 maintains the collagen level in your skin, gives firmness and juvenile skin. Green tea for skin lightening is an efficacious one to be followed. Green tea is good at its anti-inflammatory properties. It’s due to the presence of polyphenols named catechins. These catechins are responsible for reducing the five signs of inflammation: redness, irritation, pain, swelling, temperature control. You can also go for the green tea face mask, gives you soothed and healthy skin. Green tea fights off with a variety of skin disorders. Green tea skin care products are effective in reducing any skin infections. It also has the anti-bacterial effect. Green tea damages the bacterial cell membrane and fights against the bacterial infections of your skin. As all of us know, green tea has a rocking effect in the renewal of your youth and in slowing down your age. This is because of the anti-oxidant property which reduces the free radicals that put on a spurt for skin aging. Green tea is also found to be efficacious in reducing the wrinkles and age spots caused by free radicles. Green tea contains EGCG, an antioxidant that counteracts the effect of chemicals, UV rays and pollutions which causes skin damage. You can go for the green tea scrub, as the dried green tea leaves have an abrasive texture is best for the scrub. It eliminates the dead cells, excess oil and pollutants over your skin. Sebum is responsible for oil production for your skin. 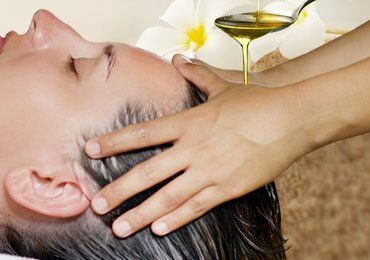 More production of oil leads to an oily skin. Oily skin gives you less skin complexion. Green tea has tannins. This tannin is responsible for bitter taste when you have green tea. Tannins can shrink the skin pores thus reducing the oil production, gives you a fair complexion of your skin. Studies have shown that green tea is 70% effective in reducing the oily skin. Consuming green tea is best to prevent the oily skin and also for improving the skin complexion too! Benefits of green tea for skin acne is tremendous. Topical application of green tea gives you a profound difference for acne and blackheads. 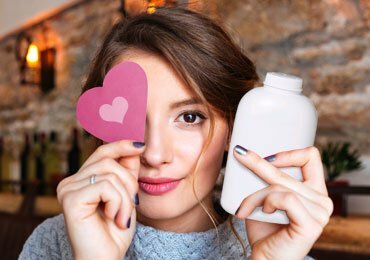 Researches have proven that lotions with green tea extract of 2% concentration give a massive reduction in acne and blackheads. Even its anti-bacterial effect also aids in the reduction of acne. Polyphenols damage the bacterial cell membrane and fight against those bacterias causing acne. Treats other skin disorders and presents you with healthy and toned skin. Too much of sun exposure leads to sunburn. It causes redness, irritation, slight swelling and pain over that area. Drinking green tea can reduce the signs of inflammation as it has the anti-inflammatory property and treats sunburns. You can also apply topically for better results. Have green tea daily is a good remedy for preventing the sunburn from UV rays. Green tea helps to kick off the dark circles with the help of caffeine and tannins in it. Stagnation of the blood around your eyes results in dark circles. Caffeine and tannins in green tea shrink the blood vessels around your eyes, treating dark circles. This even helps in treating puffy eyes and gives you brightening skin under your eyes. Go with the green tea packed night lotions that reduce the puffiness and dark circles. Taking green tea or having the green tea mask fights with skin cancer. Green tea promotes the DNA repair and treats it. Excessive sun exposure is one of the major reason for skin cancer. This is because of the UV rays from the sun. The Powerful anti-oxidant known as EGCG treats DNA damage caused by UV rays from sun preventing skin cancer. 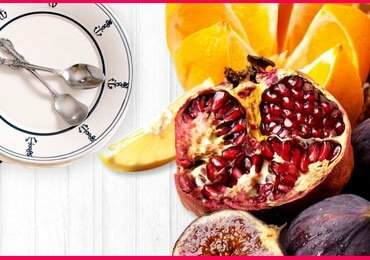 Not only EGCG but also catechins like epicatechin, epicatechin-3-gallate, epigallocatechin is responsible for having the potential to fight with cancer. “Too much of anything is good for nothing” as this proverb implies, having more of green tea leads to the side effects. 1. When to have the green tea? 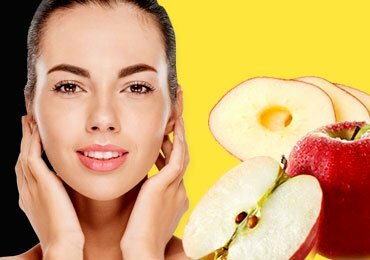 Consume every day in early morning, it not only gives you skin benefits but also maintains the overall health. Experts even suggest to also have green tea in between meals. 2. Does green tea help in weight loss? Yes! , it helps in reducing weight. For weight reduction, have warm green tea in early morning daily. 3. How many times to have green tea per day? Have the green tea twice daily to get its beneficial effects. 4. Does the pregnant women or the lactating mothers can have the green tea? Limit taking green tea not exceeding one or two cups per day. This article encloses all the benefits of green tea for skin. Have the green tea at the recommended schedule to have better results. Is it a tea time? Don’t hesitate! Just go ahead with the green tea for a healthy and radiant skin. Read Next – How Green Tea Is Prepared For Weight Loss?